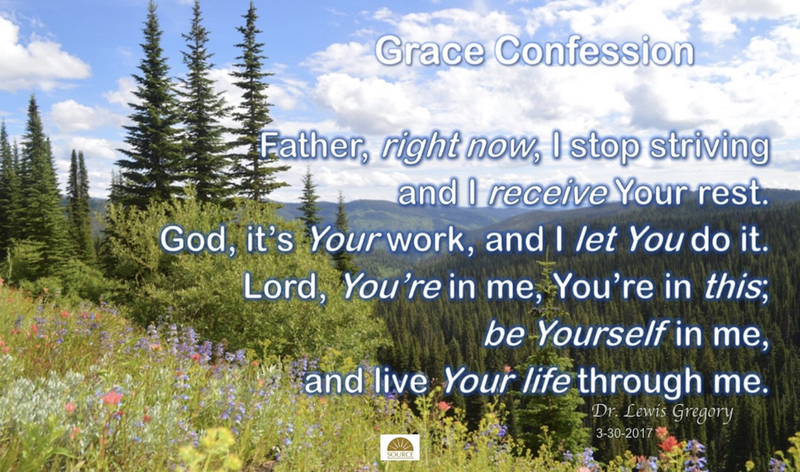 THE POINT IS: The grace confession above is the truth about you as a new creation in union with Christ. Upon receiving Jesus Christ as your Lord and Savior, everything changes. You are not the same anymore. Christ becomes your life and you can now do all things through Christ. You will be able to see God working in and through all things for your good and His glory. Therefore, you can rest in Him to get you through whatever comes your way! It’s His work; now let Him do it. He does all things well. Hallelujah, it is finished!